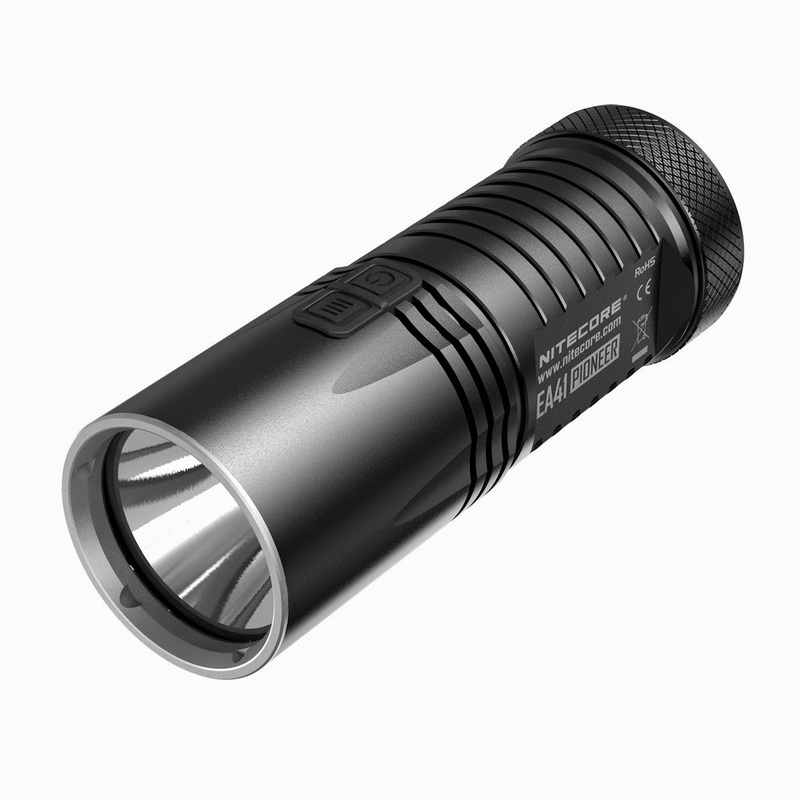 Nitecore EA41 Pioneer flashlight is an updated version of the popular Nitecore EA4 with improved quality. EA41 produces output of up to 960 lumens with a range of 315 meters and powered by 4 x AA batteries. Its maximum beam intensity of up to 25,000cd, is at least double that of competing products. EA41 provides five brightness levels: ultra-low, low, medium, high and turbo; also three special modes including SOS, Strobe and Location Beacon are available. The EA41 features Dual switch design, offering a sleek and user-friendly interface and direct access to ultra-low and turbo modes. The mode switch also equipped with location indicator to indicate the whereabouts of the torch, or flashes to indicate remaining battery power as a power indicator. An ergonomically sounddesign with tubular grooves, flat sides and a tapered body also provides a comfortable grip.